Domestic 53' intermodal continues to outpace the freight industry in growth because of its benefits are numerous, yet many shippers still sit on the sidelines. We are here to walk through the standard list of why shippers continued to transition their freight to intermodal on lanes that it makes sense, then we will dig deeper into additional advantages that are not often talked about. Lower cost alternative to truckload. When the freight lane fits characteristics that are beneficial to intermodal, then intermodal is typically better than a 10% improvement in price over truckload. Per the CSX website, one train moves an average of 280 trucks; intermodal is 4 times more efficient than trucking; rail can move one ton of freight 450 miles on a single gallon of fuel. Shippers needing SmartWay certification can easily obtain this recognition by employing more intermodal into their supply chain. The greater percentage of the freight move is on the railroad making it more difficult to access because the train never stops, unless behind the secured intermodal ramp; the container cannot be accessed while on the wellcar (the doors cannot even be opened on the bottom container of the wellcar; and the load is not left alone, as can happen with on over-the-road (OTR) shipment. While the above content is old news, it was worth putting back out there before walking through less often talked about benefits of intermodal. If any of those legs are pulled out, there is a balancing act that can only last for a short period of time before correction is needed. Now, if two of the three legs of pain are pulled, disaster is imminent. So, while shippers want to be environmentally friendly and help with road congestion, those two socially conscience aspects take a back seat if they are getting heat applied to them from their CFO/Controller because transportation costs are on the rise and/or they are getting numerous complaints from their VP of Sales because service issues caused by the shipping department are not helping his team be successful for the organization. With that said, logistics professions are looking to continue to add value and keep their jobs, so logistics decisions will be made to ensure these folks are happy. In other words ... TA-DA!! ... intermodal to the rescue. The long and short of it is, if a shipper has truckload lanes over 700 miles, they need to get off the intermodal sideline and seriously consider intermodal as a solution for service and price. The economy may take off, which, as we all know, increases OTR rates; causes trucking companies to be more particular with the lanes they cover; and tightens capacity. On the flip side, an economic slowdown is possible, which throws a wrench into the financial viability of a number of carriers and they eventually close their doors. The wave of regulatory drag coming to the truckload market, which will increase costs and put an explanation point on the driver pool problems that already exist in today's markets. Oil prices are expected to increase by year's end, as the over supply works itself and the US dollar stabilizes against other currencies. Productivity losses are coming in truckload because of the pending regulations. 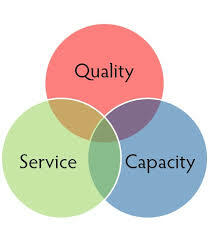 How much and how long will it take truckload carriers to regain the capacity lost is anyone's guess. Intermodal provides a tremendous amount of 53' capacity, particularly on high volume lanes. A dray driver can turn may loads to and from the origin and destination ramps, thus giving the shipper needs less truckload capacity. Intermodal is a great play to augment truckload capacity. Maybe intermodal does not have the transits needed for a particular lane, but that is where augmenting the lane is a strategy we see many shippers employ. Intermodal's operational characteristics work far better than truckload for some lanes. Now I'm not here to say intermodal is better than truckload. My blogs are always out promoting both. Truckload and intermodal have their sweet spots and when brought together to form a logistics strategy, shippers win and their customers win. One example where shippers win with intermodal operational characteristics is with big box appointed loads. 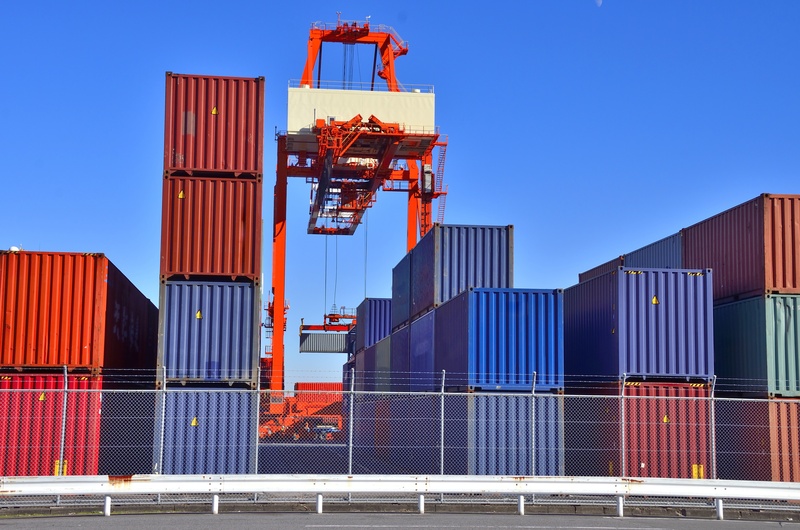 By using intermodal service, the shipper can pad the transit to have the container deliver at the destination ramp a one or two days prior to the RAD date and without additional charges. Once at the intermodal ramp, there is typically less than a 50-mile distance to make the final delivery and ensure success. Intermodal also allows even greater success for a heavy volume lane as a dray driver can turn may loads to and from the origin and destination ramp, thus the shipper needs less truckload capacity. Those that are not familiar with intermodal are easily swayed to thinking intermodal's service levels are not to the level of truckload. I can assure you intermodal service is at or above truckload. If there is an issue with intermodal, 9 times out of 10 it will be becasue of an issue with either dray leg or because the IMC over sold what could be done on a certain lane. Find the intermodal providers that are partners and you too will see the great service levels intermodal can provide your customers. 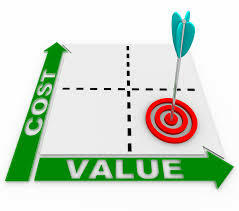 Certainly, price can be an advantage intermodal has over truckload, but not in all cases and maybe not all year round. At the same time, the price may be there for a shipper, but the transits may not work. Many lanes on intermodal transits are competitive to trucks, but others are not. The value has to be there for shippers to have a reason to change. Once a shipper learns what makes for a good intermodal lane, then they will have the tools needed to find value for their organization. Moving freight between the thee North American countries of US, Canada and Mexico can be a challenge and has opportunity to create delays. However, if a shipper chooses intermodal the product moves much smoother than truckload because of the customs, tax and clearance process. Also, as mentioned earlier the security of intermodal is an additional benefit in Mexico. While we mention the security aspect, please note that the shipper is still responsible for insuring their product, as there is no insurance coverage in Mexico. If you have additional questions about intermodal, please don't hesitate to reach out to us either via InTek Freight & Logistics website and subscribe to our blogs. We'd love to be a part of any conversation your team may be having when it comes to looking at intermodal transporation as an option for your 53' capacity requirements.